The winter Olympics PyeongChang 2018 starting on February 9, 2018, and we all are ready to watch our favorite athletes compete for the gold. 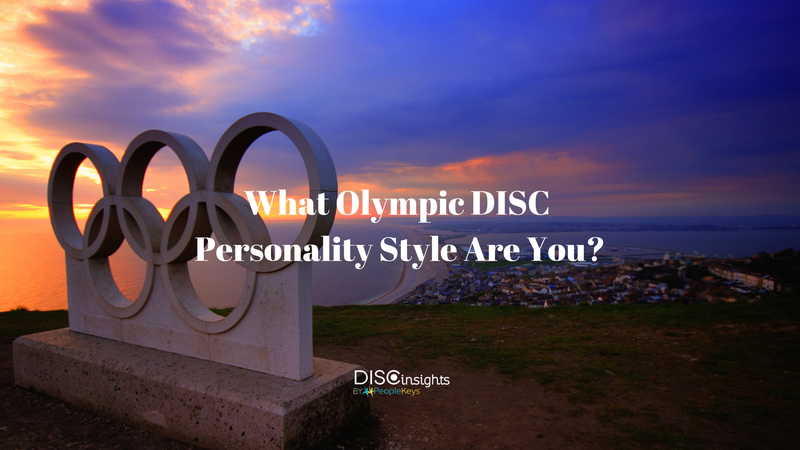 I would like to mention that all Olympians need to have a blend of all DISC personality styles to go for the Gold. The best Olympians all have that "D style" sense of competition that brings out the best in them under pressure. Like it or not, they are all performing in front of potentially millions of viewers, and they do become celebrities in their own right, so a little "I style" can go a long way. Many of the sports take a team effort. Even if you are a solo athlete, there are coaches, trainers and people on your team that really make or break the chances for success, so you need that "S style". Olympians are perfectionists; training for hours, weeks, months and years to even make that slight improvement that sets them apart from the rest of the field. That sounds like a "C style" quality to me -- perfection. Admit it. You like danger and taking risks: and you want speed! As a "D" myself, I love bobsledding and anything fast and furious that gets my adrenaline running. Can you say freestyle three times fast?! You probably love to see the individual expression of people like Shaun White trying his latest halfpipe stunts. You can relate to someone just "killing a routing" and having fans in awe of their crazy, adventurous routines. You probably like beauty and grace, and love things like the couple's ice-skating routines. So elegant and so harmonious in their seemingly effortless ability to glide around the rink. You probably enjoy the team sporting events and appreciate the persevering workouts they consistently endured to gain their level of expertise. Consistency and perseverance are gold to you. My wife is a "C," and she loves the perfection of figure skating, and even understands the scoring. I just look for someone who is flashy and daring. She sees the precision in the perfectly executed triple Salchow. Do you know the difference between a Triple Axel, a Lutz, and a Salchow? She does! A "C" appreciates the microseconds that separate the top skiers and performers because they know what it is like to practice, practice, practice until perfection. Even then, they still try to beat their own best score or time. As an avid admirer of Olympics sports, I am still amused at certain sports that are and are not in the Olympics. I have questions like: Who invented the two-man luge and why, or who decided how many people are allowed in the Bobsled? Who invented the sport of curling and what's the point? Ok, I admit it. Even as a "D", for some reason, I like to watch the curling event! What is your favorite Olympic sport and why? Anyone out there who actually participated in any Olympic events? Please let us know at social@peoplekeys.com or in the comments below, and we may post some of our favorites responses. Your moment for PeopleKeys' Gold!